The Missing will be back soon. This week, Starz announced season two of the TV series will debut in February. The new season of the anthology drama centers on Sam and Gemma, whose daughter Alice returns 11 years after going missing. The cast includes David Morrissey, Keeley Hawes, Tchéky Karyo, and Abigail Hardingham. Season two of The Missing premieres on February 12th. All eight episodes will be available to Starz subscribers on the Starz app, the network’s streaming service, and Starz On Demand. Beverly Hills, Calif. – January 24, 2017 – Starz announced today that all eight episodes of the Golden Globe® and Emmy® award-nominated thriller “The Missing” will be made available for STARZ subscribers on the STARZ app and streaming services, as well as STARZ ON DEMAND simultaneously with its network premiere on Sunday, February 12. Named by Rolling Stone magazine as one of the “25 Most Anticipated TV Shows of 2017,” “The Missing” is written by Harry and Jack Williams (“One of Us,” “Fleabag”) and solely directed by Ben Chanan (“The Last Kingdom,” “Cyberbully”). Produced by New Pictures in association with Two Brothers Pictures and Playground for BBC One and Starz, the 8-episode limited series introduces a new case with new characters in a new location. 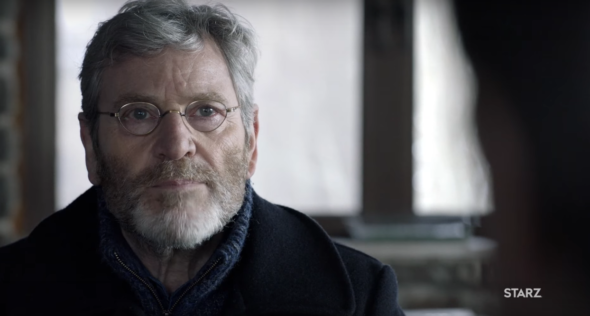 The premiere episode of “The Missing” second installment will also be available in a free, nationwide preview on February 6, nearly one week prior to the season premiere on Sunday, February 12 on STARZ. The episode will be available to STARZ subscribers via the STARZ app and STARZ ON DEMAND, online at Starz.com and through participating U.S. cable, satellite and telco affiliates as well as participating OTT partners beginning Monday, February 6 at 12:01 AM ET through February 12. Future episodes of the highly-anticipated limited series will premiere weekly at 8:00 ET/PT on STARZ airing every Sunday night through April 2. All eight episodes of “The Missing” will be available exclusively for STARZ subscribers on the STARZ app and STARZ ON DEMAND beginning February 12 at 12:01 AM ET. What do you think? Have you seen The Missing? Will you watch the new season? More about: Starz TV shows: canceled or renewed?, The Missing, The Missing: canceled or renewed? The Missing: Cancelled or Renewed for Season Three on Starz?